This zip file contains a JPG, WMF and EPS file. A JPG file can be opened up in any simple paint program or picture viewer. It is not transparent and not resizable (without effecting its quality). This is a good option if you would like to print out an image within an A4 sized page, or to use in a website. A WMF is a file which can be used in programs such as Microsoft Word. It can be resized to any dimensions keeping its original quality, and has a transparent background. 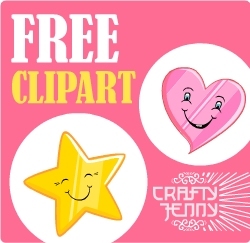 It is great to use for making designs for flyers, posters, greeting cards etc. An EPS can be used in programs such as Photoshop or in vector programs such as Illustrator. When you open it in Photoshop, it will open to the dimensions that you specify, and it will have a transparent background. If you open it in Illustrator, it will be in its original vector format, where you can then continue to size, alter the shape and change its colors.